The all channel includes all other chat channels, on one screen. 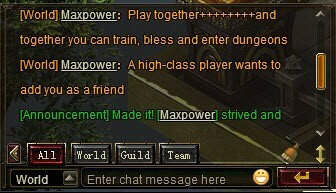 The Guild channel lets players communicate with their fellow guild members, in privacy. The Party channel lets members of a certain party communicate, without having to deal with the clutter of other channels.